A recent RTH article titled "Hamilton Can Learn from Toronto's Waterfront" looked down the QEW to make a number of thoughtful design suggestions for our West Harbour waterfront - i.e. the shoreline, public green spaces, marine recreational areas, and piers from the McQuesten Bridge to Pier 8. I don't quibble with the examples chosen or suggestions made for our waterfront. But I do want to pull a little on the article's waterfront planning and development thread. I sympathize with the author's lament that we've been "talking, planning, and then planning some more" in Hamilton, while other places build. Then again, maybe we should be thankful that we've seen a lot of talk and planning with less building. Urban renewal was a debacle in most places, including Hamilton. Excessive cost delayed and then saved us from building the perimeter highway from Burlington Street at Wellington Street along the outer edge of the North End neighbourhood, past Bayfront Park, and thru the Barton-Tiffany lands to connect our industrial waterfront to the east with the 403 Highway. Other paths not taken: use of the Lax Brothers' water lots (now Bayfront Park) for a scrap metal plant in the 1960s, followed by Bayshore Village (marina and high-rise residential complex for 15,000 people) on the same lands in the 1970s, and then an industrial park in the 1980s. I think about these unfulfilled plans whenever someone is impatient with "talking, planning, and then planning some more". If we skip to the present, I don't think planning is our problem, per se. Key waterfront planning and development related documents such as the West Harbour Secondary Plan (Setting Sail) and the Hamilton West Harbour Waterfront Recreation Master Plan are already complete. An Urban Design Study for Piers 7-8 is underway, and we can anticipate an Official Plan Amendment for the James North Mobility Hub Study soon. The City has also done servicing studies and pro-forma analysis for Piers 5-8. So what is planned? Let's start with the overview provided in Hamilton West Harbour: A Prime Waterfront Investment Opportunity, a brochure prepared by Chris Phillips, Senior Advisor to the General Manager of Planning and Economic Development, and point person on the waterfront redevelopment file at City Hall. The key numbers are 1200 to 1600 residential units, mostly on Pier 8, and 140,000 ft2 (13,000 m2) of leasable institutional and commercial space across Piers 5-8. Elsewhere, in staff report PED14002, maximum buildout is pegged at 1800 residential units and 215,000 ft2 (20,000 m2) of commercial space. These numbers are contested, however, as they represent a discernible increase over those described to residents and other stakeholders during the Setting Sail process and later meetings related to the North End Traffic Management Plan. The Brochure also includes a reproduction the Hamilton Waterfront Trust's "West Harbour Concept Plan" map, which forms the basis of the Hamilton West Harbour Waterfront Recreation Master Plan as "received" by Council in 2010. The "West Harbour Concept Plan" depicts park, marine recreational, and public realm improvements from Bayfront to Pier 7, a "commercial village" on Piers 6-7, and a 400-spot parking garage under Bayview Park. These are the broad strokes. Detailed description of each waterfront precinct and design guidelines for improvements from Bayfront Park to Pier 7 can be found in the Hamilton Waterfront Trust's Hamilton West Harbour Waterfront Recreation Master Plan, which is accessible via February 2014 staff report PED14012 (see appendix "G"), while land use designation, permitted unit densities, and building height limits for the entire West Harbour planning area, including Piers 5-8, are specified in Setting Sail. If the above seems nice, tidy and settled, it isn't. First, the Urban Design Study for Piers 7-8, for which one round of public consultation has been completed thus far, is set, as per Setting Sail, "to determine the appropriate height, massing and character of new buildings and the appropriate physical relationship between buildings and public open spaces." Second, though the City has indicated that it plans to respect the height limits laid out in Setting Sail, they can still be modified. Currently, the height limit on Piers 7-8 tops out at 8 storeys. Should Brook-McIlroy, the consultants hired by the City to complete the Design Study, recommend increasing this height limit, Setting Sail stipulates that an Official Plan Amendment (OPA) is required. Third, the City wants the waterfront to be a "destination" both for recreation and retail-commercial activity, and home to a significant number of people. That requires getting people to and from the waterfront, and if they drive, providing parking. Engineering work suggests a limited ability to build parking underground across Piers 5-8. To my knowledge the City is not contemplating reduced parking requirements for the waterfront. Given what is planned, parking will either have to go above ground or be located in the adjacent neighbourhood. The proposed 400-spot parking garage under Bayview Park is an example of the latter option. Fourth, public plans only take us so far. The journey from plan to reality is expected to involve selling off city-owned lands to developers. Market conditions will determine if what's planned actually gets built by the private-sector. Council has the final say on approving plans, setting priorities, and allocating funds to service land for development and make public realm improvements. But in the end the City's role will largely be steering, rather than rowing the development boat. Fifth, the Ontario Municipal Board (OMB) is an x-factor in planning and development in Ontario and its impact on planning politics is hard to quantify. The possibility that a municipal planning decision (or occasionally non-decision) might be appealed to the OMB is woven into the planning process, and shapes how the actors involved interact with each other, for better or worse. (In April 2014, the North End Neighbours filed an OMB appeal of Official Plan Amendment 233 and Zoning By-law Amendment 14-042. That appeal is still active and relates to Hamilton West Harbour Waterfront Recreation Masterplan. The author joined the Board of the North End Neighbours in October 2014). A final point might be there are plenty of opportunities for things to go awry on the road from plan to reality. Growth may slow and/or the current real estate cycle might end. Developers might seek changes to the plans to increase their return on investment and reduce their risk. Council may balk at the costs of improvements or seek to boost the City's financial return from the lands it owns. Some or all of this may happen during build-out and lead to significant alterations. As a resident of the North End, and President of the North End Neighbours, I'm seized by the following: will what's being planned enhance the waterfront and North End neighbourhood? What Would a Good Outcome Look Like? What worries me is not how many new residential units will be added, whether the height limit will remain eight storeys, or whether a "commercial village" is built on Piers 6-7, but that a good outcome is achieved. What would a good outcome look like? I suspect the answer can't be singular or static. We could start by seeking balance. Respect what already works and makes the West Harbour and waterfront attractive as a place to live and visit. Ensure that changes are phased, so that they can be managed and sensitively adapted if circumstances change. Make sure that the different components of the waterfront vision are well integrated and complementary. Get the transitions between major areas-public green space, marine recreation, and urban waterfront-right. Most of all, make the waterfront accessible and inclusive, and demand excellence in design and build quality. The Toronto Star and Globe and Mail may flatter us initially with stories of our renaissance. That makes for good copy. Real success, however, will be if we manage to create a complete community that endures beyond the glint of newness. This could be a big help to good waterfront development. great article. i agree that the slow, methodical process to development of the waterfront and surrounding area will serve the best interest of the community in the long term and will balance growth with sustainable development in one of the areas most accessible waterfront communities. As the author of the aforementioned piece, I must say this is a great point. Especially in light of the type of development we've seen built and proposed in Hamilton in recent decades. Lacklustre is an understatement. Surely by now there are enough folks at city hall who have learned from the best cities in the world and can offer a world-class built environment here. But having them rush to build isn't my desire, rather I'd like to see them get the private sector on board and start printing actual building plans/renderings/concepts that fit our official planning documents. Things like a beach with muskoka chairs can be built quicker than an entire neighbourhood, but let's get the plan right. Well written piece with great thoughts and ideas. We've got one shot to do this right, and must. I thought your article was great. I was glad to have someone write a piece that drew attention to the fine-scale of planning/thinking about the waterfront that is needed. My fear is that waterfront planning and development is flying under the radar ... the City is chugging along to shovel-ready development in 2017 or 2018, and I don't see enough focus on how we get from existing plans to developed reality. I don't think anything is stopping the City or HWT from adding Muskoka chairs on the waterfront ... you don't need an OPA or rezoning for that ... not sure if anything like that is being planned, but I see them and the metal umbrellas (like those at Toronto's Sugar Beach) more and more in my travels. I'm not of the everything must be perfectly planned before anything is changed mindset. My concern is that public engagement (consultation and participation) is too focused on the planning stage and then things disappear behind closed doors when we move to implementation, which is when many impactful decisions are made ... the ones we lament later. This times a thousand. How often do we all get excited about a project rendering, only to end up dismayed when the finished building has been committee of adjustmented almost beyond recognition. I firmly believe that pubic engagement is only done in Hamilton because they have to do it. Then the powers that be simply do whatever they want, and sadly it's the same old lame status quo we've seen through the 70' and 80's. Confederation Park is our real waterfront. not the swampy always-closed-beaches of the stink of WH. One does have to wary of neighbourhood associations and who they truly represent. Waterfront areas should be open, water that is clean which it is not. Cannot swim there. How about a natural setting opposed to commercialized development that is not inclusive. You mean like Bayfront, Pier 4 and Cootes? The development on piers 6,7, & 8 are on industrial piers. They're not natural and naturalizing them would be fakery at this point. Better to develop the piers (which are now empty, concrete and steel rectangles in the water) and give people something to go to before, during or after they enjoy the naturalized waterfront. Check out Sugar Beach in Toronto. 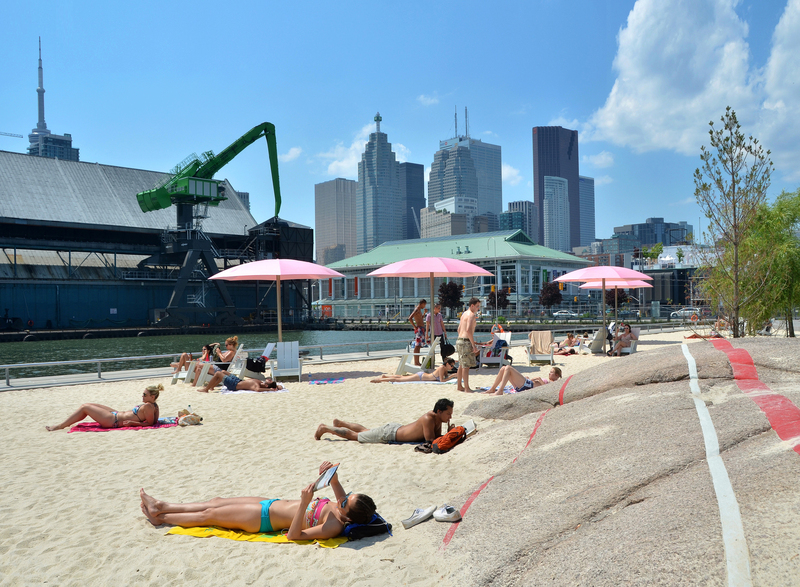 A beautiful simulated beach intentionally built to prevent you from swimming, but simulate a beach in every other way -- sands, suntanning, permanent pink parasols. It's very popular, and a big hit. agreed. We could have a couple of these. Bayfront Park and another at Pier 8. Toronto has several, with more on the way. having a beach full of permanent chairs and umbrellas is pretty boring and basically limits it's use severely. i actually think that "faking" naturalizing the piers would be a unique approach that would differentiate the hamilton waterfront from others. toronto is an awful example to use for anyone who wants a nice waterfront. what's the point of developing beside water if it's void of any interesting life and blisteringly hot because of a heat island effect? you could just go half a kilometer away and do the same thing. hamilton has done a good job of keeping a lot of natural escapes in an urban area and for some reason these areas are targets for development despite a literal ton of highly underutilized urban land in the city. This is a good POV. Imagine during an EASTWARD expansion of West Harbour, we have a Sugar Beach that has a clear view of U.S. steel everytime your head turns right. But turn your head left and you see an amazing revitalized Hamilton waterfront. The two contrasts (depending on whether your head turned left or right) is strikingly Hamiltonian. We cannot naturalize the industrial lands quickly but we can easily plop a Suger Beach into a former industrial zone whenever we zone-by-zone expand non-industrials eastwards over the coming years, decades, and generations. So I think -- that said -- we should have ONE -- not a clutter of many -- I do think we should have at least one beach like that -- just not as a cookie cutter template. We can at least limit it only to an outlier example, and it will attract people who want that type of experience (there are lots). For example, maybe a corner lot closer to the industrial lands especially as West Harbour expands eastwards. It is too hard to cheaply and quickly naturalize some of those areas, so that would be a perfect candidate for the umbrella+muskoka "oasis-in-the-middle-of-civilization" experience. The view of industrials to one side, and the view of fully developed recreational waterfront to the opposite side, is a striking Hamiltonian contrast that alone, will attract people to this location. It is fairly cheap, and creates a very popular people space (except in winter) when there's amenities nearby like a patio pub and a playground area, etc. Sugar Beach also has a clear view of the RedPath sugar factory less than 200 meters away, so despite the industrialness nearby it is very popular. We can have a beach next to our Hamiltion industry with a closer close-up view of that. Thankfully, the prevailing winds don't usually blow the smells in the direction of West Harbour. At least not at any time I ever visited there, at least... Look left, see beautifully developed recreational waterfront. Look right, see classic Hamilton industry -- that would be the view from our "Sugar Beach" style corner. 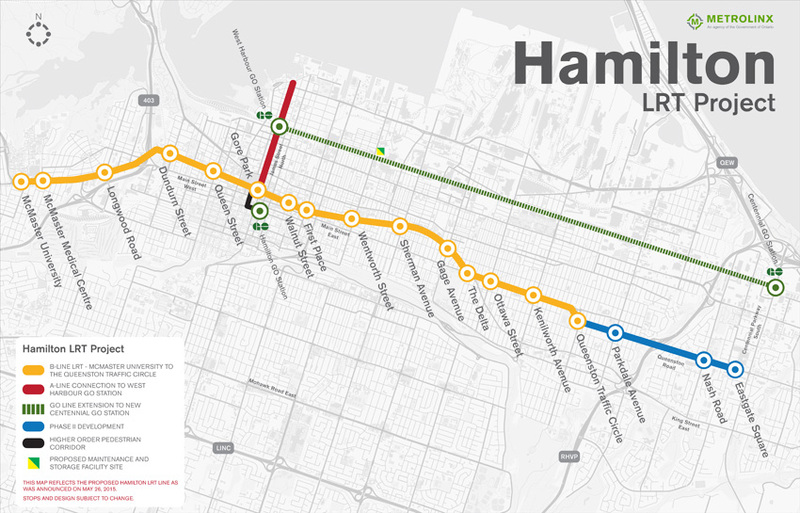 What contrast, showing the New Hamilton and Old Hamilton depending on which way your head turned. Areas like these cannot be easily naturalized quickly -- nor can our industry be. But it can be a catalyst for the adjacent winding-down U.S. Steel (the one which will likely eventually shut down) -- this happens to be the big steel factory closest to West Harbour. So, this is a great area to slowly (over decades) spread good redevelopment to, assuming U.S. Steel end up going vacant. So, I say, bring a Sugar Beach-like corner during a eastwards expansion of West Harbour, with a plain view of U.S. Steel whenever your head turns towards the right. Sugar Beach has a blatant factory in front of it, too. Why the hell not? (I think even you agree it cannot be easily naturalized quickly). Perhaps located in the other corner 500 meters east of Sarcoa (once all those old buildings are demolished and redeveloped). Or if one of the next piers eastwards are developed, then a corner of one of those piers. In Google Satellite view, this will provide a very clear line of view of U.S. Steel works -- a view to be embraced as long as there's a great redeveloped view as far as your eye can see, whenever you turn your head left. For other areas though, I agree, let's work on making those even more natural. I do agree with keeping natural escapes and utilizing underutilized lands. And natural beaches. And wildernesses. I love catching frogs when I was a kid.